”Tis the season of IPO’s” and last week proved that with the offering of shares in car-sharing pioneer ZipCar. Nearly $ 175 million was raised creating a market cap of more than $ 600 million. The rent-as-you-need-it company founded in 2000 is trying to stave off car rental giant Hertz which launched ‘Connect’ in 2008. ‘Zipsters’ as users are referred to carry cards that enable them to access the fleet 24/7 (as the keys are inside) without necessarily making a reservation (although it is recommended that you do make a reservation). The concept of car-sharing is very appealing (to me at least) and I daresay even green. At the Low-carbon business development forum I attended in Shenzhen a little over a week ago ZipCar was referred to as an embodiment of progressive transportation. I noticed little mention of Hertz Connect. 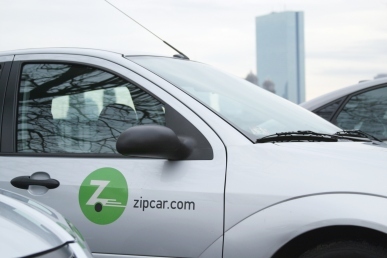 As the concept and business model matures there have been some rumblings of inadequate automobile liability insurance provided for ZipCar’s 560,000+ members. In an April 22nd article in the NY Times http://nyti.ms/ilpP4N both ZipCar and Hertz were cited as offering liability coverage that is sorely lacking. More members would obviously increase the pool and perhaps allow for the upper limits to be raised to the more traditional $ 1,000,000. I’ve a few friends that are ZipCar members and they proudly note that they do not own an automobile and flash their card as evidence of being green. Decidedly ZipCar is for city dwellers and university students. For $ 13/hour you pick up the car at the ZipCar lot, drive it for as long as you need and return it; gas up to 180 miles per day, reserved parking and insurance are all included. There’s something very green about not owning a car and city dwellers actually are greener on a per capita basis than non-city dwellers. ZipCar still has a first mover advantage (ZipCar bought Flexcar in 2008). An article in Fortune magazine last month did a good job of summarizing the advantages and environmental benefits of car sharing http://bit.ly/m8Vqyr. Car sharing is an idea that is ready to take off in my opinion. But Americans are married to their cars and it will take time for car sharing to take hold beyond its niche status at present. This entry was posted in Customer Experiences, Green Products, Living in the World Today and tagged Flexcar, Fortune Magaginze, Hertz Connect, Zipcar, ZipCar IPO, Zipsters. Bookmark the permalink.